The original Caretaker Cabin was camp’s first building constructed and the only building fully occupied year-round! It provided a cozy forest home for staff for more than 5 decades. Filled with original 1960s charm, the little A-frame nestled by the road provided shelter from the rainforest’s constant drizzle and howling winds for many winters. During the warm months, the sweet sounds of summer would waft through its open windows while children’s voices lifted to the sky in song and laughter. The little cabin was even the location for the birth of a child during one spring snow….Oh, if only those walls could speak! 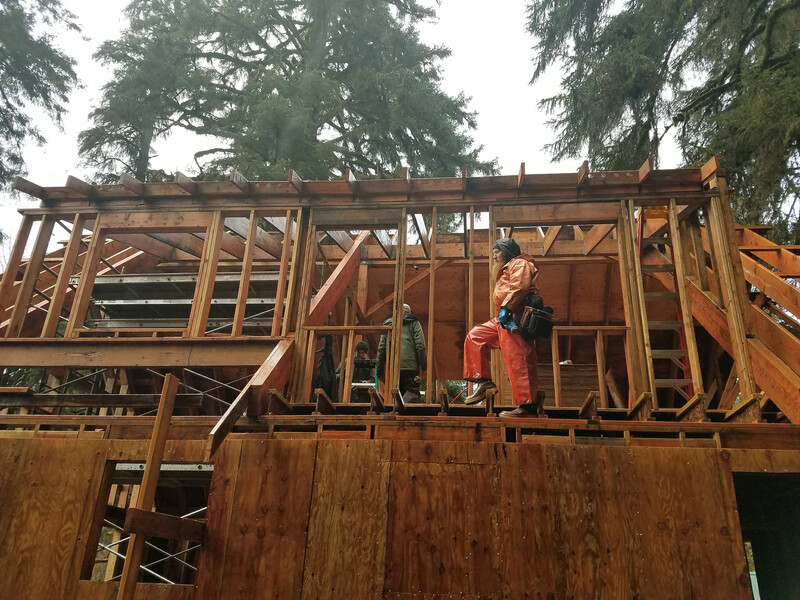 Designed to reflect DCC’s A-frame tradition, the new building’s structure will be modified to allow for simple quality-of-life improvements such as upper kitchen cabinets and in-house laundry facilities! Having a washer and dryer in the basement will allow caretakers to do laundry without schlepping it to the lodge in the rain or squeezing in personal loads at midnight during summer’s non-stop action. Having a 2nd set available will alleviate the time crunch on summer’s busy transition days. Plus, having a back-up in case of an emergency provides peace of mind. The new cabin has been designed to provide flex-space for staff & volunteers. There will be living quarters in the basement (a new addition to the old footprint) for directors and cooks who crave a quiet space during summer camp or while cooking for weekend groups when “sleeping among the group” can be tight. The flex-space will be available for housing volunteers throughout the year as well as providing a heated gathering space mid-week or when the lodge is not being used. This additional year-round space will provide much-appreciated flexibility for staff and volunteer needs. It will also add a moisture-proof area for storing valuable program materials and building Drift Creek’s institutional memory. 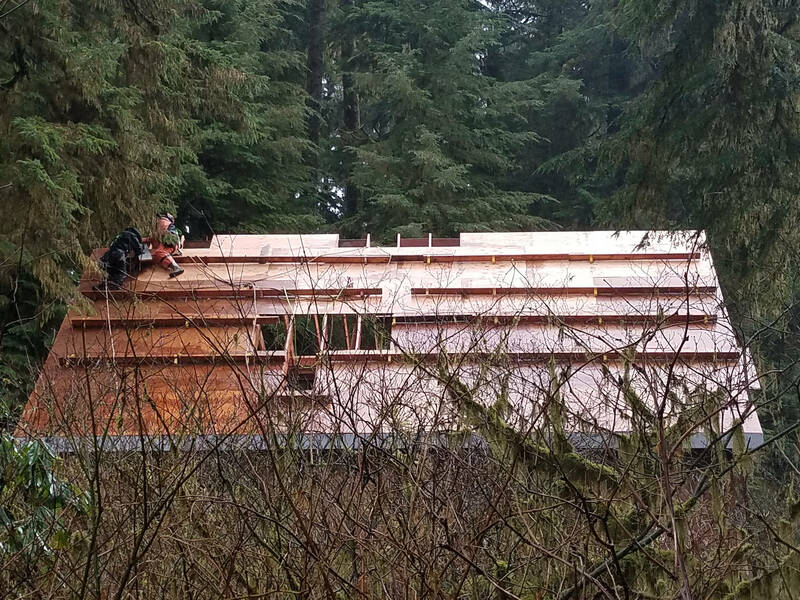 Once the cabin is completed, the Sitka Cabin, located above the bathhouse, will again be available for use by volunteers, rental guests and program participants. 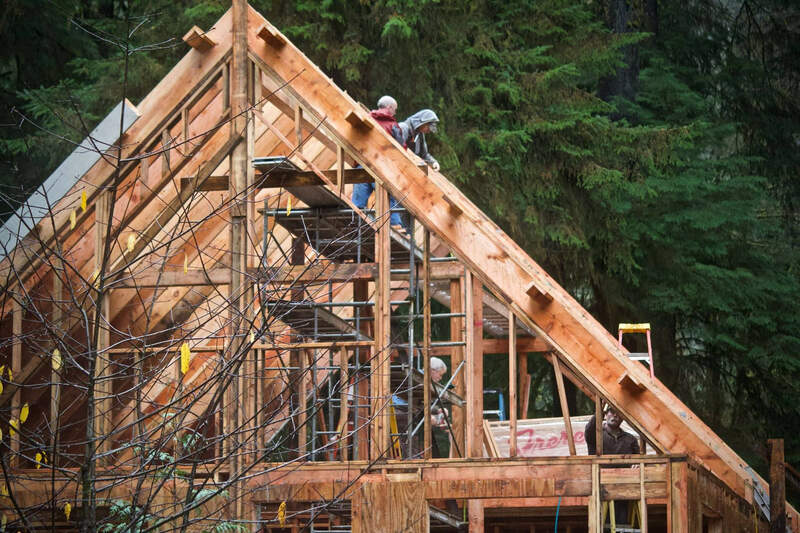 The cabin’s construction is in progress. The nesting cycle of the endangered marbled murrelet determined when demolition and construction could occur. The roof was installed in August 2018. The interior has now been able to dry after a very wet winter and spring! Most of the siding has been applied and the windows installed. 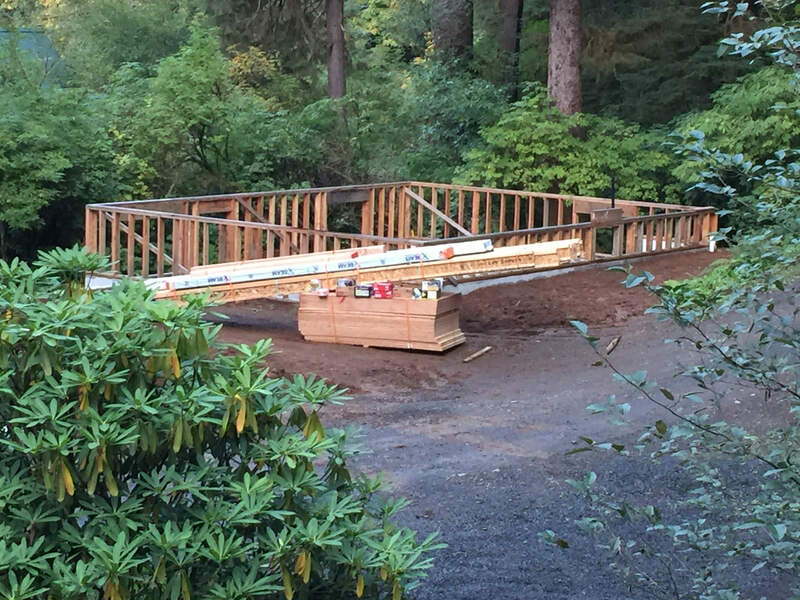 The concrete basement flooring was poured in September by Knox Construction of Albany, OR. We will be looking for volunteers to install drywall, paint and complete the finish carpentry this fall and in the coming spring. If you are interested in volunteering, on-site housing can be available, depending on the rental schedule. We would love to have your helping hands. Please contact info@driftcreek.org to make arrangements. DCC is looking to raise $50,000 to finish the project. 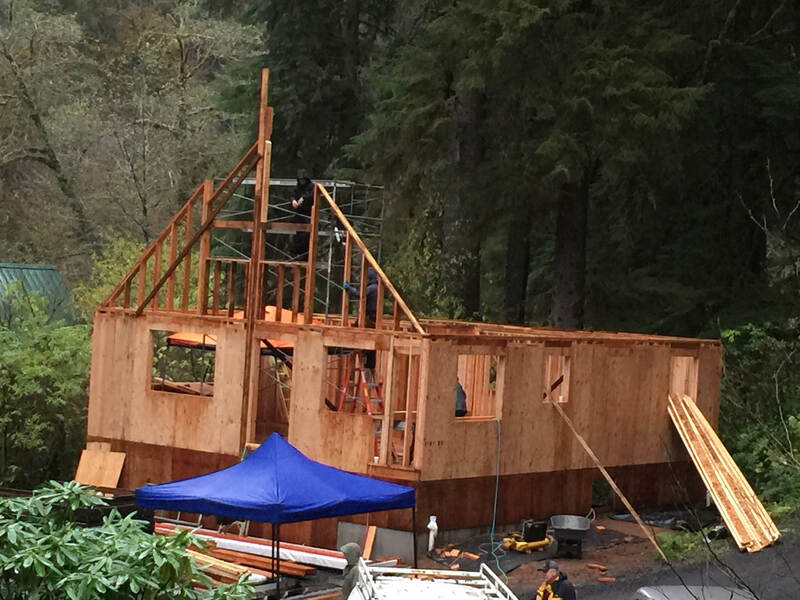 If you wish to contribute, please earmark your donation for the Caretaker Cabin and send checks to Drift Creek Camp, PO Box 1110, Lincoln City, OR 97367. Thank you for your support!